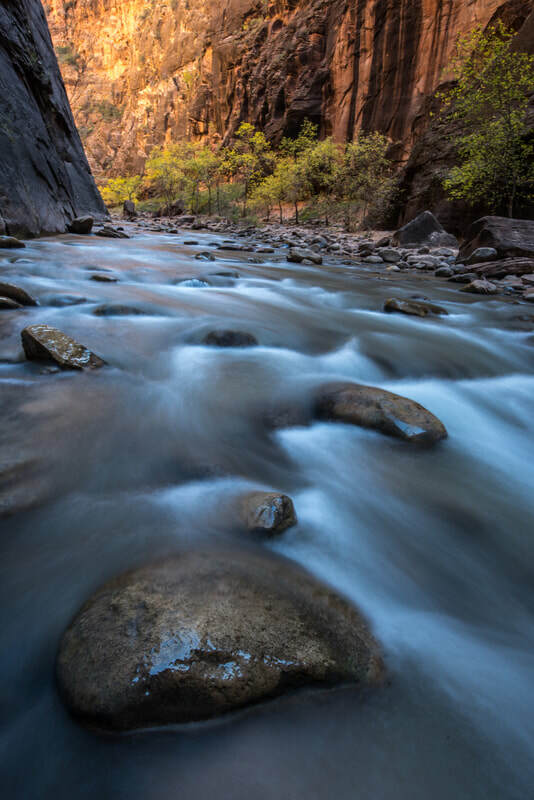 Weather in the Zion Narrows can vary greatly season to season, day to day, or even hour to hour. While each season presents its own display of stunning beauty, each also presents its own challenges and considerations. Flash flooding, seasonal snow-melt, falling ice, and sudden temperature fluctuations are just a handful of the varying conditions hikers must be prepared for before beginning their journey. The following seasonal charts reflect our over 20 years of hiking in this majestic canyon. While we do our best to present the most accurate seasonal information, it is always recommend to check weather conditions periodically in the days and hours before your hike. 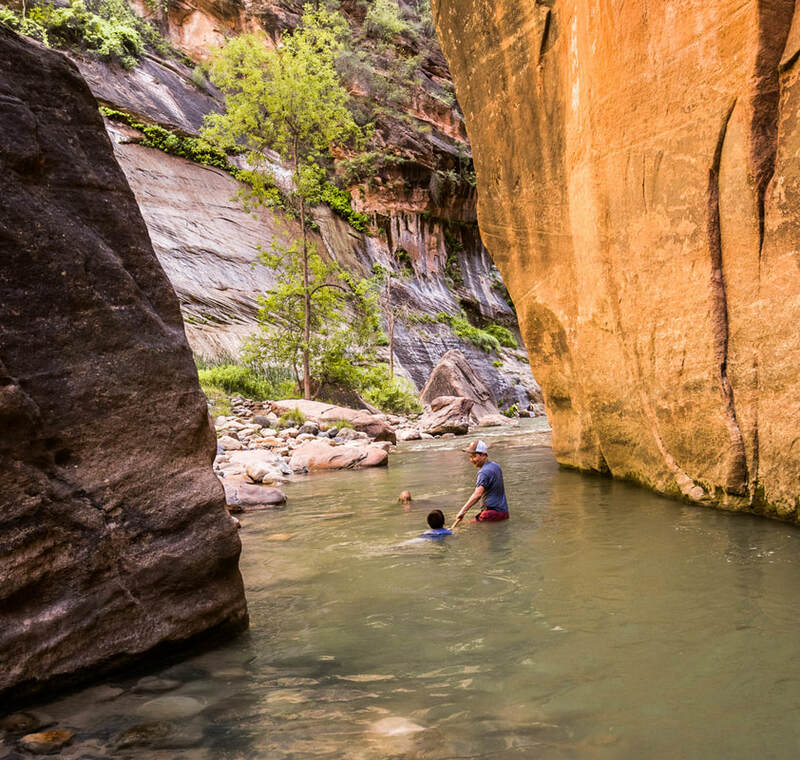 ​Spring can be a great time to visit the Narrows. While cold snaps and high water from spring run-off require hikers to possibly still utilize a dry suit or dry pants, day time temperatures begin to reach a comfortable level. It is likely the Narrows will be closed for periods of time between March - April due to yearly snow run-off. ​Potential Hazards: Spring run-off has the potential to close the Narrows if the CFS (Cubic Feet per Second) exceeds 150. If snow pack is above historical averages, it is possible for the Narrows to be closed for a significant amount of time. Please contact our shop for the most accurate conditions. ​By mid-May, seasonal snow melt has usually settled and air and water temperatures have risen to a comfortable level. As this is by far the most popular time of year for hiking the Narrows, hikers should expect to encounter more traffic. ​With colors changing, air temperatures dropping, and summer crowds abating; Fall may be the best time of year to explore the Narrows. ​Potential Hazards: Strong rain storms in September are still possible. Significant rainfall brings the potential of the North Fork Rd. to Chamberlain's Ranch becoming inaccessible for up to 48 hours. Changing park shuttles times require hikers to be more wary of return times to the Temple of Sinawava. 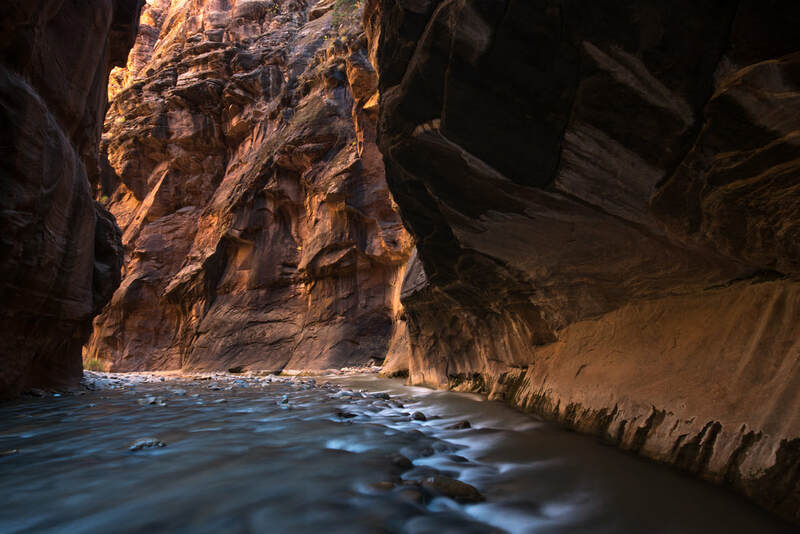 Winter hiking in the Narrows may be one of the best kept secrets in Zion. While the hike does require the use of additional insulating layers and a full dry suit, hikers will find the solitude of the canyon well worth the extra gear.